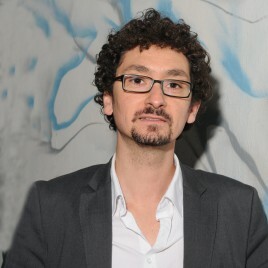 David Foenkinos (born 1974) – a French prose writer and screenplay writer; the laureate of the 16th edition of the prize “Lista Goncourtów: polski wybór” [“Goncourts’ List: Polish Choice] for his novel Charlotte. In spite of his young age, he has already written over 10 novels, because, as he says, writing is his obsession. His most popular novel Delicacy, which was sold in a record number of one million copies in France, was screened by the author himself and his brother in 2011 (the main female role was played by Audrey Tautou).